What Is Laser Tattoo Removal? Laser therapy – also called laser surgery and laser rejuvenation – has become the preferred treatment for tattoo removal since it offers a low-risk option with minimal side effects. A physician removes the tattoo by using high-intensity laser beams to break up the pigment colors of the tattoo. Laser actually stands for Light Amplification by Stimulated Emission of Radiation. The type of laser used generally depends upon the pigment colors. Different lasers or different settings of the same laser are needed for different colors. A 1064 nm Nd:Yag Q-Switched laser is commonly used to remove tattoos. The laser selectively targets and removes the tattoo without damaging the surrounding tissue, which greatly decreases scarring. Most tattoos do require a series of treatments which can take a whole year to remove the desired tattoo. There have been many advancements in laser technology today which help improve the safety, remove tattoo in less laser sessions, treat colors of ink which were once hard to remove. Results vary from person to person and a lot depends on lifestyle and over all health of the individual removing their tattoo. Some factors which can have a negative impact on how many sessions someone may need for laser tattoo removal are smoking and drinking alcohol. Where is the best place to go to get laser tattoo removal? MedLaser USA has the best laser for tattoo removal, the Lucid Q PTP. The device has gold standard Q switched technology which has 1064 Nd:Yag and KTP 532. All wavelengths target different tattoo colors, for more information on the Lucid Q PTP visit Lucid Q PTP. How many sessions of laser tattoo removal will I need to remove my tattoo? This varies for everyone and a lot depends on the color ink that is used, how much ink was used, how deep is the ink, how old is the tattoo, do you smoke, do you drink alcohol? Overall, you can expect between 6-12+ treatments and some individuals many never see their tattoo completely removed. Typically you need to wait 6-8 weeks between each treatment because your skin needs time to heal and your body also needs time to process (remove) the ink. When the laser is fired onto the skin it hits the ink and shatters the ink into tiny particles, your body must process these tiny particles of ink and process them out of the skin. Every laser tattoo removal session your tattoo will lighten. It is good to take a picture of your tattoo before each session so you can compare and see the process of your tattoo removal. Laser tattoo removal is safe, it is important that the operate has the appropriate training. Laser tattoo removal can cause burns, blisters, redness, swelling, and pin point bleeding. It is important that you have a healthy immune system for laser tattoo removal to work. Women or are pregnant and those who are breast feeding should not have laser tattoo removal. Having laser tattoo removal is uncomfortable and causes some pain/discomfort but it is tolerable. Some options to lighten the pain during laser tattoo removal are using the Zimmer Cyro 6 cold air system which blows cold air on the skin and also numbing cream. Using both in combination during laser tattoo removal can dramatically improve comfortability. For more information from the American Acadamy of Dermatology about laser tattoo removal visit their website. Laser tattoo removal could leave a permanent scar which is why the laser operator should be appropriately trained. Having a more aggressive treatment doesn’t mean a tattoo will be removed quicker. Having the energy turned to high to soon can cause scaring. The skin can turn darker or lighter than the surrounding skin, this is called hypopigmentation or Hyperpigmentation. What process is better for removing my tattoo: A Laser or TattooAway? Laser tattoo removal doesn’t require any foreign chemicals which can cause scaring. Laser tattoo removal has extensive clinical published studies for being an effective way to remove tattoos. Physicians around the world use lasers for tattoo removal. MedLaser USA has yet to see any physician use TattooAway for tattoo removal. You can also find reviews on realself.com with patients who have experienced scars and significant pain from TattoAway. It is important to consult your physician before any chemicals are injected into your skin. MedLaser USA does not offer medical advice. Please consult with your physician for appropriate aftercare for tattoo removal. What Tattoo Colors Does Each Wavelength Remove? Successful laser tattoo removal is achieved with multiple wavelengths. All wavelengths target different colors. The 1064 nm Q Switched Nd:Yag laser is the gold standard laser for tattoo removal in addition to the 1064 nm laser a perfect add-on wavelength for rare colors and stubborn inks is the 694 nm ruby laser. American Academy of Dermatology, “New and improved laser and light treatments take aim at cellulite, fat, tattoos, wrinkles, and sagging skin.” News release issued Mar. 21, 2014. Accessed 4/20/2015. American Academy of Dermatology, “Lasers lighting the way for enhanced treatment of melasma and tattoo removal.” News release issued Feb. 7, 2012. Accessed 4/20/2015. Bernstein, EF. Laser treatment of tattoos. Clinics in Dermatology 2006; 24(1):43-55. Laumann A. Body art. In: Wolff K, Goldsmith LA, Katz SI et al, editors. Fitzpatrick’s Dermatology in General Medicine. 7th ed. New York, NY: McGraw Hill Medical; 2008:Chap 100. MedLaser USA is a global leader in the distribution of aesthetic lasers and related services to physicians and spas in the US and globally. If you are looking for superior quality cost-effective tattoo removal lasers, you are in the right place. Whether you want to buy, rent, or lease tattoo removal lasers, we have a large selection of all the popular models from reputable manufacturers such as Alma, Cynosure, Candela, and Palomar. Apart from buying, renting, or leasing your desired equipment, we also provide financing options, repair services, laser training for tattoo removal treatment, as well as buying cosmetic lasers you wish to sell. 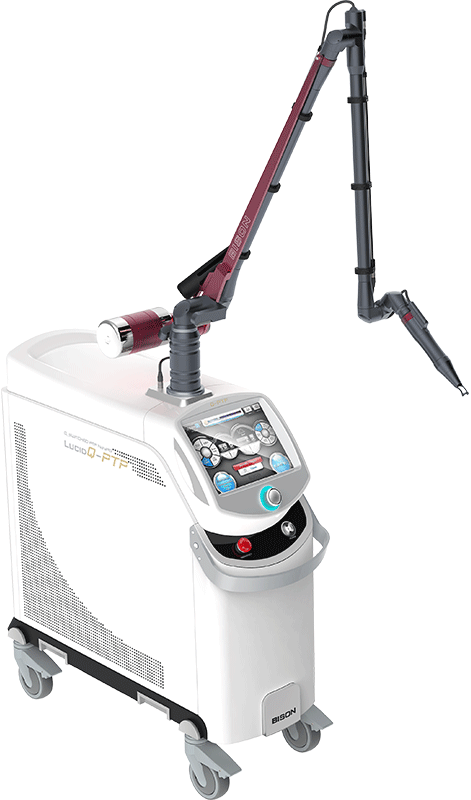 MedLaser USA gives you access to buy, rent, or lease new and preowned aesthetic lasers. We stock systems that are designed and optimized specifically for tattoo removal and a large selection of systems that can cater to a range of aesthetic, medical, and other treatment requirements. Used laser tattoo removal machines go through comprehensive servicing and refurbishment, and come with a warranty to help you make sure that you receive great value for your money. Contact us today for amazing discounted deals if you wish to rent or buy new or used tattoo removal lasers or competitive rates to lease tattoo removal lasers of different types from all reputable manufacturers. 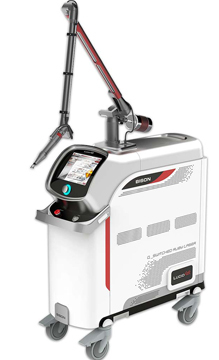 MedLaser USA also buys used tattoo removal lasers, making it easy for you to upgrade. Our aesthetic laser experts conduct a fair valuation of your equipment. We buy most tattoo removal lasers whether they are functioning properly or not. Contact us today to sell your tattoo removal aesthetic laser! 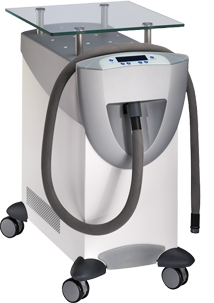 MedLaser USA offers a number of options for people looking to finance their tattoo removal laser machines purchases. Our aesthetic laser financing services allow you to own your cosmetic laser at the end of the term. Qualification for either a capital equipment lease agreement or working capital loan, and the applicable term, are determined by your business’ credit score and financial background. Talk to us today for more information on how we can help you finance your tattoo removal laser machine purchase. MedLaser USA also provides tattoo removal laser machine repairs. Our team of certified and experienced technicians stocks the best technology and most cosmetic laser equipment parts. We present a cost-effective alternative to buying recertification and service contracts with timely and affordable tattoo removal laser repair services such as error code diagnosis, calibration, alignment, power supply repair, and preventative maintenance. Contact us today for a free evaluation. 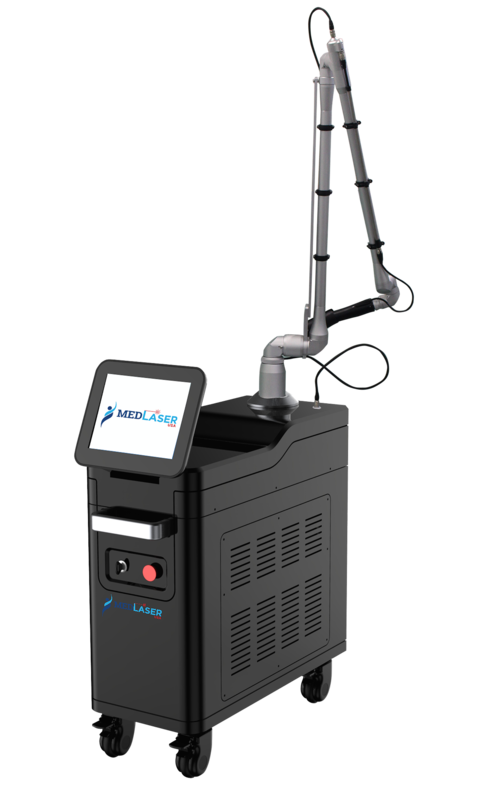 MedLaser USA is a reputable cosmetic laser equipment dealer providing laser training for tattoo removal to people who wish to obtain certification and sharpen their skill with some hands-on training. Our Chicago Laser Certification and Aesthetic Training is flexible to cater to your needs. You can enroll in online classes, onsite, or classroom training.